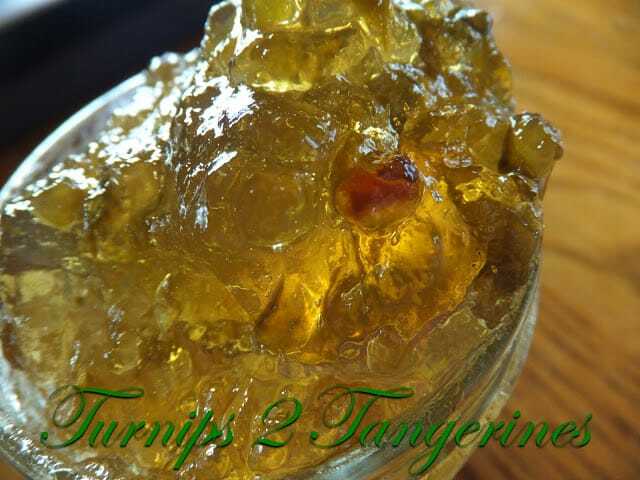 Is a super delicious, sweet and spicy jelly. Jalapeño Apple Jelly is made with apple juice and isn’t made with apples at all. 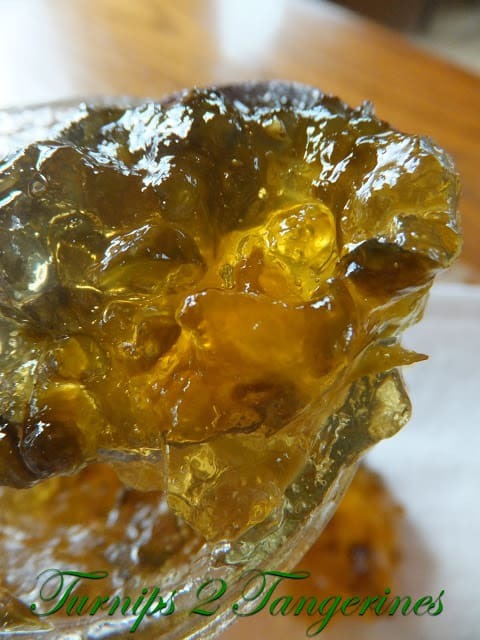 Use a good tasting apple juice or apple cider to make this jelly. Preferably not a lo-cal apple juice or sugar free variety. I’m sure you can make apple jelly with a low sugar juice but I never have. 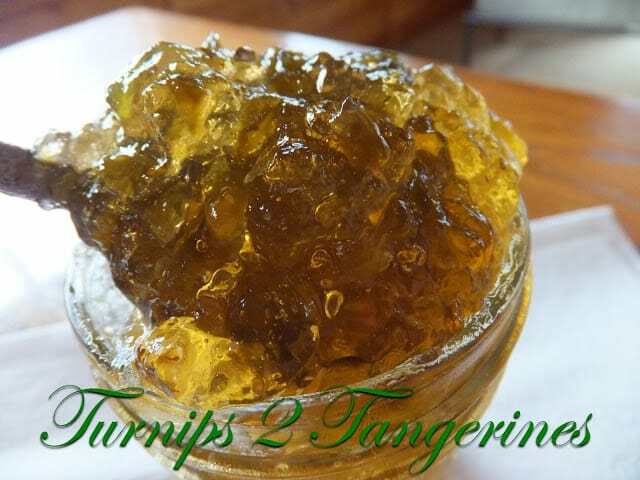 If you have made a low sugar jelly using low sugar juice, let us know by leaving a comment and/or link below. 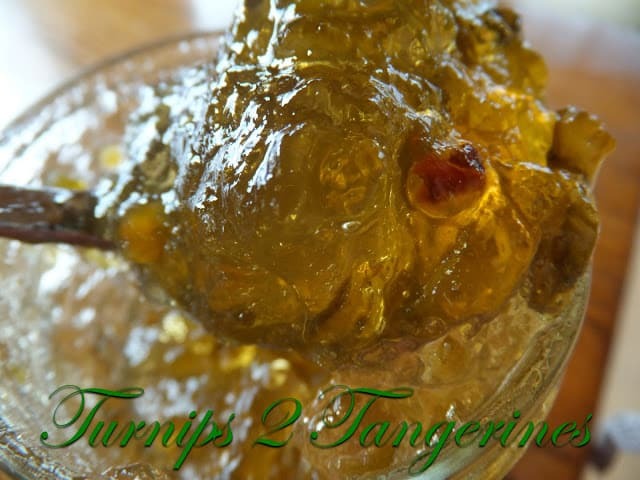 Serve this spicy, amber colored jelly on cornbread, turkey or ham sandwiches or on sourdough biscuits. Spoon a few tablespoons over a block of soften cream cheese for an instant appetizer. Jalapeno apple jelly makes a great glaze for baked or grilled chicken, pork tenderloin, ham or even salmon. My hubby loves a smear on his ham sandwich. Like Monte Cristo sandwiches? Apple jalapeno jelly would be perfect. Spicy and delicious! Perfect eaten in a sandwich or to make into a glaze for chicken or pork tenderloin. Place apple juice and jalapenos in a blender; cover and process until peppers are fully chopped. Strain through a double thickness of cheesecloth. *I like a few "bits" of seeds and peppers left behind. Pour the strained juice into a dutch oven; add the vinegar. Stir in the sugar and drops of green pepper sauce. Bring to a full rolling boil, stirring constantly. Stir in pectin; return to a full rolling boil. Boil for 1 minute, stirring constantly. Remove from heat; skim off foam. Carefully ladle hot mixture into hot sterilized half-pint jars, leaving 1/4 inch head space. Wipe rims and adjust lids. Process for 5 minutes in a boiling-water canner. Carefully remove jars from canner, setting jars upright on a dry towel or cutting board to cool. 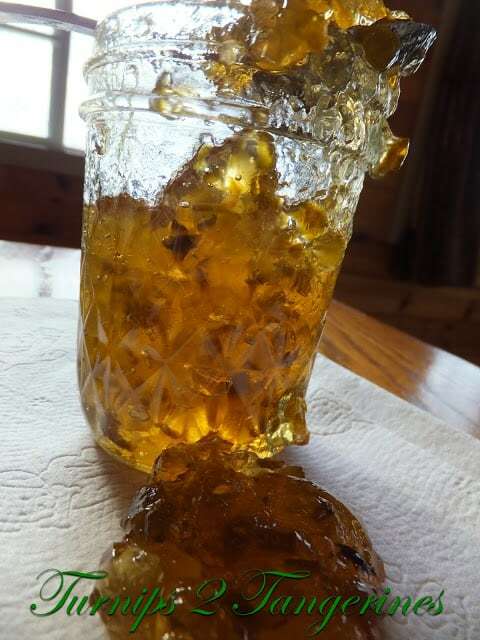 Pepper jelly can take up to two weeks to set up. Note: Wear disposable gloves when cutting hot peppers; the oils can burn the skin. Avoid touching your face and eyes. I made this almost a week ago and it still hasn’t set. I’m kinda freaking out but should I be patient and hope it will set still or what should I do???!!! I've never tried such a jelly. I'm super curious about the taste. It certainly looks appetizing! !